Whatever you eat, effects your body; both from internally and externally. Therefore, it is better to eat all that is good for your inner and outer health. God has blessed us with countless things to eat, which can help you get a healthy and glowing skin. Taking a well-balanced and nutritious diet can help fight the sings of aging. Those, who take care in choosing their food, they are not in need of using any creams or medicines in order to stay young for longer. 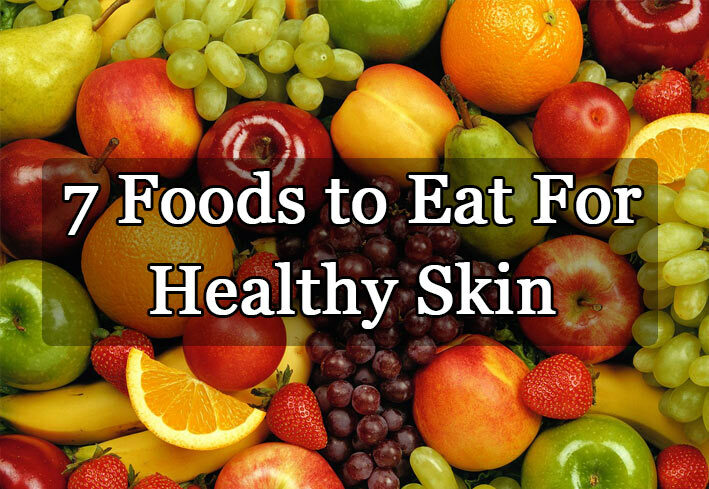 Following are some really important things to eat that helps in keeping your skin look fresh and glow. it is said that green vegetables are very good for healthy skin. Amongst all the green vegetables, spinach is considered to be the best. It is rich in vitamin A, which is a helpful agent in producing lipids. Lipids play vital role in keeping the skin moisturized. In case, you are suffering through the deficiency of vitamin A, then your skin must be very dry and scaly. To get rid of it, you must increase the intake of spinach. For all those people, who are facing problems because of pimples, they should also increase its intake. Tomatoes are rich in vitamin C and everyone knows that Vitamin C is very good for glowing skin. Moreover, there is significant amount of lycopene in tomatoes. This agent helps in giving red color to them. It is active antioxidant, which plays vital role in blocking ultraviolet rats and protects the skin from getting dry and black spots. they are rich in vitamin C and antioxidants, which make them really good for glowing and healthy skin. Carrots help in the treatment of several skin problems like scars, skin blemishes, anti-aging, dryness of skin and many others. Eating more carrots help in keeping you young and fresh. The more carrots you eat, the more fresh you look. it does wonders for the beautification of your skin. Add more amount of yogurt in your diet, as it helps in moisturizing your skin, provides relief from sunburn, fights pimples and acne, prevents discoloration, and combats the signs of ageing and what not. It means that if you will eat more yogurt, then you will not be in need of any kind of beauty product. they are rich in Vitamin A and C. moreover, there are many antioxidants in them. Eating blueberries in raw form is very good for skin. They help in providing you protection from acne and keep the skin rejuvenated. all nuts are good source of omega-3 fatty acids, which are very essential for healthy and glowing skin. If you will eat more nuts, then the cell membranes of your skin are going to remain healthy. Ultimately, your skin will remain hydrated, which is going to keep it protected from the signs of aging. it is rich in eicosapentaenoic acid that is useful for the regulation of oil production deep down in your skin. It means that for younger looking skin, you must eat more nuts. These Inspiring Stories Of The Lovely Couples Have Us Wanting To Lose Weight As Well!